This course will assist in helping you be able to identify the major hardware components and their peripherals that are involved with the healthcare IT information systems, as well as distinguish between the different software layers and applications. This course will assist in helping you be able to identify and implement the various security mechanisms, as well as perform basic network troubleshooting tasks. You will also learn how to use the different pixel annotations in binary and hexadecimal encoding. This course will assist in helping you be able to identify the major body parts that make up each body system, as well as understand clinical terminology when discussing with medical professionals the issues with healthcare technology. You will also learn how to relate diseases to the corresponding body part and function. This course will assist in helping you be able to recognize the different imaging technologies by looking at the images, as well as understand the technology for each modality that is used to create medical images. You will also learn how to use the appropriate medical terms, including those related to patient orientation. This course will assist in helping you be able to distinguish between the Computerized and (direct) Digital Radiography (CR/DR), as well as understand the advantages for both CR and DR technology. You will also get an understand of typical workflows for radiology and the most common other specialties using imaging technology. This course discusses the various medical image types, characteristics, and issues. The acquired knowledge is important for people that work in the medical imaging domain and do not have good understanding and appreciation of the complexity of this matter, or for people that want to get into the medical field and need to get a basic understanding of this subject. 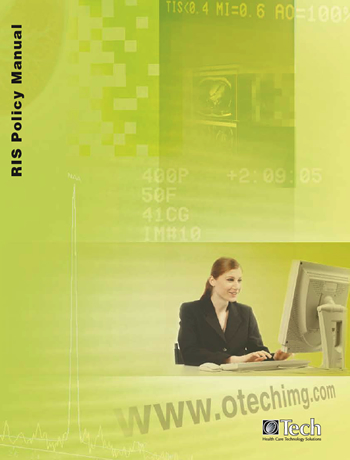 This module is an introduction to the major Picture Archiving and Communication System (PACS) components. This course is beneficial for anyone who wants to learn about PACS, especially the support people such as system administrators and service, but also people involved with the potential purchase or even implementation and deployment of these type of systems. This course consists of lessons on healthcare standards, HL7, the DICOM protocol and encoding. We will discuss various DICOM services and Integrating the Healthcare Enterprise or IHE specifications. We will discuss what IHE is all about and the most important integration profiles for IHE and radiology. This course covers why it is critical to do a PACS workflow assessment, what it is all about, and what the components are. Workflow tools are shown with illustrations followed by several radiology scenarios such as ER, teleradiology general radiology and ICU. This is followed by teaching files and how they are maintained as well as clinical trials where specific information needs to be recorded with the images before they are sent to the clinical trial center. 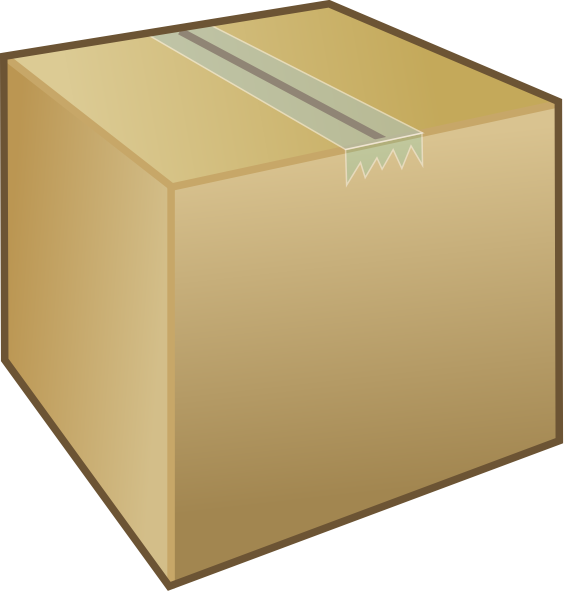 Lastly, the impact of importing and exporting media, such as CDs and films is covered. 3. Since we cannot check whether or not you successfully completed a course, we will not provide a certificate of completion. $395 is a special introductory price - regular price is $495. This course is geared towards professionals that are involved with Health Imaging and Informatics projects such as, but not limited to, PACS systems administration and want to learn how to manage and administer these type of projects. This package contains the Health Imaging and Informatics Project Administration course and the Health Imaging and Informatics (CIIP) Study Guide for a discounted price. 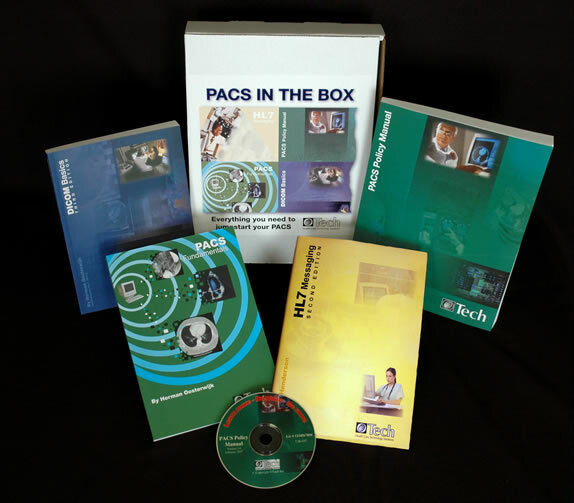 This package contains all of the PACS online training from OTechU. 4 Day Seminar combining the PACS Certification (CPAS) Boot Camp and the Advanced DICOM, HL7 and IHE seminar. Because of its high pace, this is a true bootcamp, which consists of two components, i.e. both the clinical and IT skills needed to support medical imaging and IT systems such as PACS, EHR and other image intensive systems. 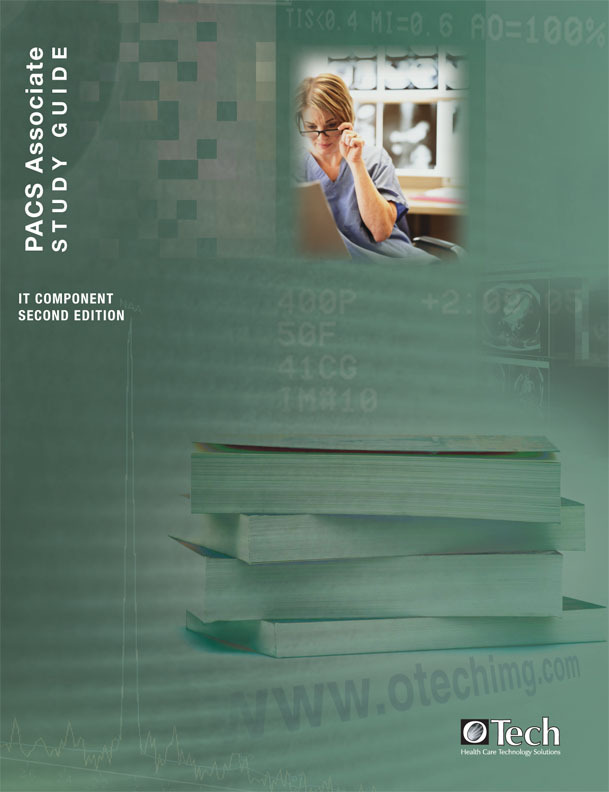 The curriculum follows the requirements of the Certified PACS Associate (CPAS) (see pacsadmin.org for details). The on-line exam is included as part of this course and therefore, students can be expected to become PARCA CPAS certified upon finishing the class. This one-day course is a must for imaging professionals seeking a high level understanding of the PACS system, its related clinical workflow and fundamentals, rudimentary exposure to the DICOM and HL7 standards which are integral to imaging support and workflow issues. It is a pragmatic, non-technical introductory course covering "everything you wanted to know but did not dare to ask" for those who are somewhat involved, or would like to get more involved with PACS systems from a support or administrative level. Because of its high pace, this is a true bootcamp, which consists of two components, i.e. both the clinical and IT skills needed to support medical imaging and IT systems such as PACS, EHR and other image intensive systems. This advanced seminar teaches both advanced technical skills and troubleshooting skills. A base knowledge of DICOM and HL7 is required to get optimal benefit from this seminar. The interface standards will be briefly described in the form of a "refresher", as the emphasis is on the hands-on component and doing the exercises. This course provides you with a thorough understanding of all the aspects of a typical PACS System, including its architecture and new developments such as VNA and dose reporting. We will cover the DICOM, HL7 and IHE standards as well as image quality topics. This is a hands-on class, please bring your laptop to perform the exercises using HL7 and DICOM message simulators. This 3-day seminar teaches both the clinical and IT skills needed to support medical imaging and IT systems such as PACS, EHR and other image intensive systems. The curriculum follows the updated requirements of the Certified PACS Associate (CPAS2014).. The on-line exam is included as part of this course and therefore, students can be expected to become PARCA CPAS2014 certified upon finishing the class. This hands-on seminar covers the IHE profiles that are used to optimize workflow in imaging such as radiology and cardiology, and to communicate between PACS and/or a Vendor Neutral Archive (VNA) and EMR's either direct or through a Health Information Exchange (HIE). Students will get to understand the role of new PACS architectures, aka PACS 2.0 which includes a VNA and exchange with external information exchanges using IHE protocols. They will understand the role of the HIE (Health Information Exchange) and which IHE standards are used to exchange information between hospitals using HIE?s and direct communications. There will also a refresher of DICOM and HL7 applicable to the transactions used for the HIE communication. This 4-day seminar consists of a 3 day PACS certification and one day PACS advanced training. You can take either the first and/or second training separately. 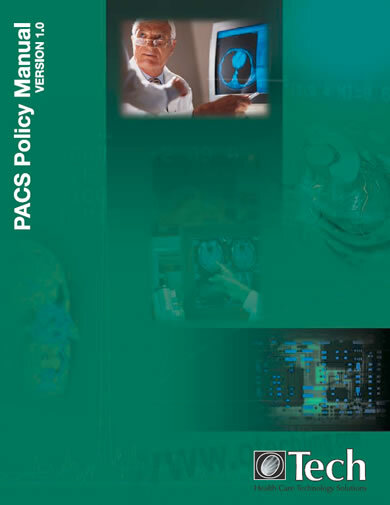 The PACS certification teaches both the clinical and IT skills needed to support medical imaging and IT systems such as PACS, EHR and other image intensive systems. 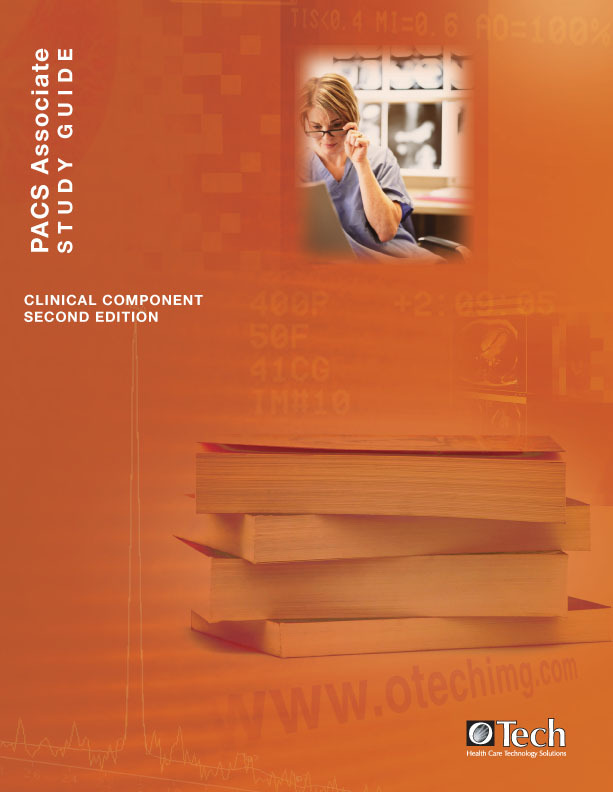 The curriculum follows the updated requirements of the Certified PACS Associate (CPAS2014) (see pacsadmin.org for details). The on-line exam is included as part of this course and therefore, students can be expected to become PARCA CPAS2014 certified upon finishing the class (assuming they pass the exam). This track consists of two components, covering both the clinical and IT skills needed to support medical imaging and IT systems such as PACS, EHR and other image intensive systems. 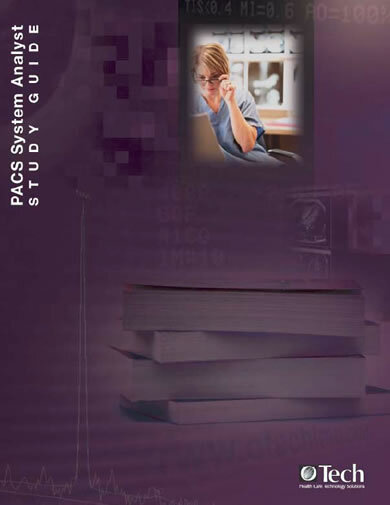 The curriculum follows the requirements of the Certified PACS Associate (CPAS) (see pacsadmin.org for details). The on-line exam is included as part of this course and therefore, students can be expected to become PARCA CPAS certified upon finishing the class. This HL7 version 2 training is a two day seminar can be taken separately or as a part of the Healthcare Standards (DICOM/HL7/IHE) track. This two-day PACS project management course applies the project management skills towards healthcare imaging and IT projects such as implementing an EMR, PACS, or any other new IT project. The student will be able to manage a healthcare IT implementation. 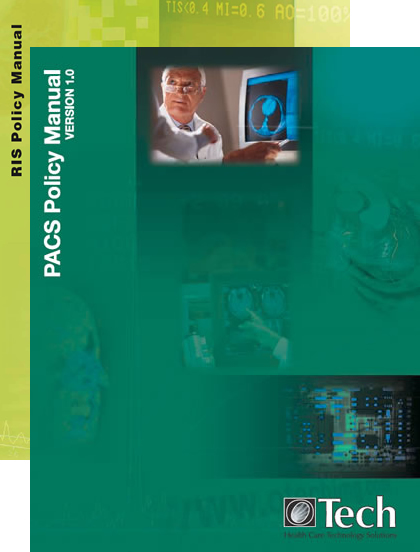 The PACS healthcare imaging consists of the two-day track teaches you the basic skills to become a PACS certified professional (PARCA - CPAS), followed by an advanced one day PACS training and a two day PACS project management course. 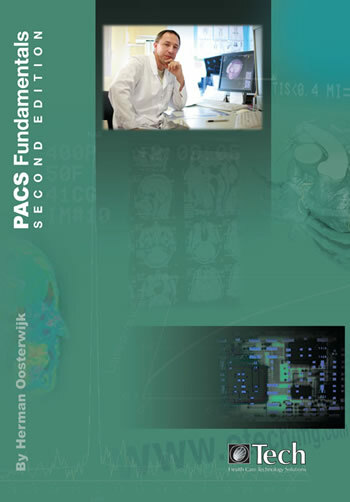 This class provides an in-depth discussion of PACS and the related DICOM and HL7 interface standards which are used to exchange information between the different PACS, RIS, EMR, Voice recognition components, and imaging modalities such as CT, MR, CR, DR, cardiology and others. This is a hands-on course as the emphasis is on the practicing component and doing the exercises using software that is part of the course. This one day seminar on the new FHIR HL7 standard can be taken separately or as a part of the Healthcare Imaging (PACS) and a Healthcare Standards (DICOM/HL7/IHE) track. This two day advanced DICOM/HL7 troubleshooting class can be taken separately or as a part of the Healthcare Standards (DICOM/HL7/IHE) track. The Healthcare Standards track contains a two day HL7 version 2 training followed by a one day seminar on the new FHIR HL7 standard and a two day advanced DICOM/HL7 troubleshooting class. This course is a typical example of "blended learning" because it uses books, self-paced online training modules as well as face-to-face training and a workshop, and an actual site visit to an institution. The first in a series of Healthcare IT Innovation seminars will be conducted as a webinar and has the topic "VNA Requirements and implementation experiences". Note: All eBooks are compatible with Microsoft Windows only and require Adobe Flash. eBooks are not your familiar electronic files such as .doc or .pdf, but instead, we use a customized reader that is developed for eBooks. It allows for easy indexing and browsing as well as provides a mechanism for us to license it. Therefore, it won't be easy printable, except for doing a "print-screen"; it is specifically intended to be softcopy viewing only such as on a computer. The major application for eBooks is for people who need access to these resources and can't easily carry paper or just don't want to have it around. Another good application is for readers who are based outside the US and therefore have to pay a relatively high cost for shipping these books internationally. 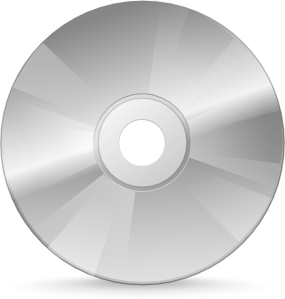 As with any software typical license, the ebook is supposed to be installed on only one computing device. To allow for upgrades, computer crashes, etc. You can activate it more than once, however there is a maximum number of activations configured to avoid piracy and improper usage. The Hospital Simulator is a combination of licensed software, open source tools, image test set, test transactions (orders and results), and a set of lab exercises which allow you to gain experience supporting a PACS system and its integration using DICOM and HL7.